Fanatics, terrorists, and appeasers have tried everything to silence Geert Wilders, Europe's most controversial Member of Parliament from putting him on trial to putting a price on his head. But Wilders refuses to be silenced and one result is the book you have in your hands. 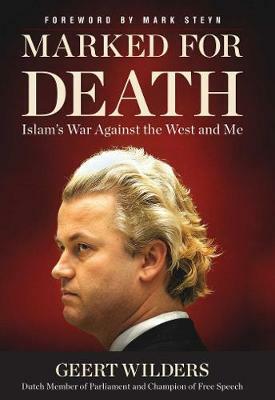 Now, for the first time, Wilders offers a full account of his long battle against the zealots who have already slaughtered his countryman Theo van Gogh whose killer also threatened to murder Wilders himself. Expelled from Britain, banned from Indonesia, denounced by the UN Secretary General, prosecuted in court for his beliefs, forced into government safe houses, and constantly threatened with death, Geert Wilders is unbowed and unapologetic. Marked for Death is a stark warning about a growing threat to our liberties written by a man who has lost his freedom and would not see the rest of us suffer the same fate.